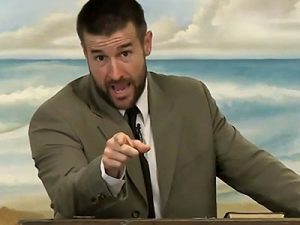 American hate speech pastor Steven Anderson is coming to South Africa to spread his vile anti-gay beliefs. Anderson, who heads up the Tempe, Arizona Faithful Word Baptist Church, is set to visit Johannesburg in a missionary style evangelical excursion on 18 September to “win souls” for his hateful cause. Anderson preaches that gay people should be executed and praised the Orlando massacre as “good news” because “there’s 50 less paedophiles in this world”.